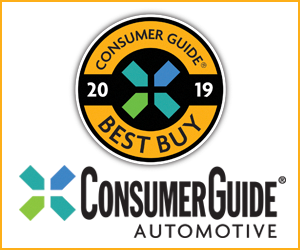 In the large motorhome biz, it is customary for a coachbuilder to purchase a basic chassis and powertrain from a truck maker, and then assemble its end product on that procured rolling framework. That’s how big-name motorhome companies such as Winnebago and Holiday Rambler do it. The beauty of this arrangement is that the coachbuilder needn’t worry about the frame and drivetrain—or the compliance issues related to that hardware—and can instead focus on designing and building the body and living quarters of the vehicle. Of course, there’s never been anything stopping truck makers from taking a swing at building their own motorhomes from the ground up. Sure, it would mean building the interiors themselves (or contracting that work out), but it would also mean—theoretically—more profit on the end product. Similar thoughts must have crossed the minds of GMC executives when the company decided to go it alone on a brand-exclusive motorhome model. 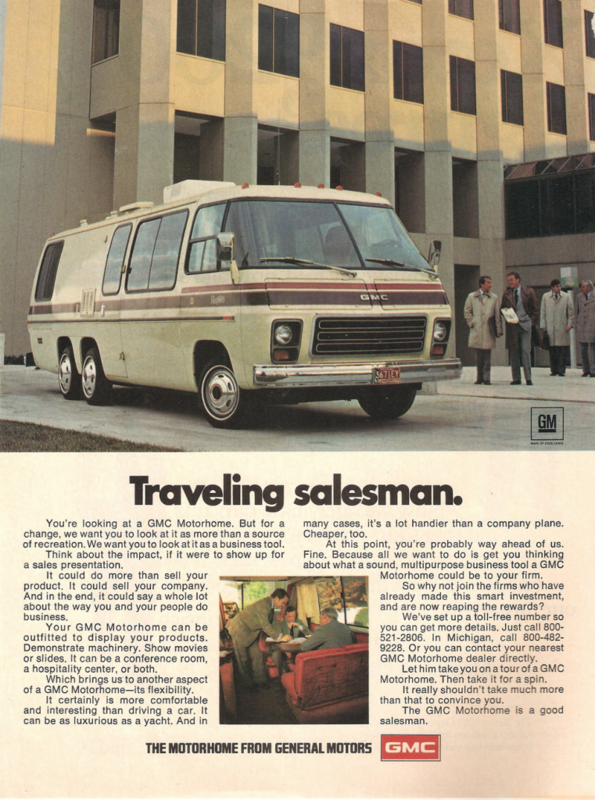 Whatever the final argument for the project was, the GMC MotorHome was greenlit for production—and it has since become the stuff of automotive legend. Interior layout options varied by model year, but as many as ten configurations were available for 26-foot models. Built between 1972 and 1978, the GMC MotorHome enjoyed a streamlined look and a relatively low ride height that set it apart visually from other large motorhomes. The MotorHome didn’t just look different, however—it was quite unlike existing motorhomes structurally and mechanically as well. Though GMC sold a traditional H-frame chassis to other companies for use in motorhome production, GMC engineers designed a unit-body chassis for the MotorHome that allowed the vehicle to be both lighter and lower-riding than other motorhomes. The MotorHome’s body featured a combination of fiberglass and aluminum panels, which were attached directly to the frame. 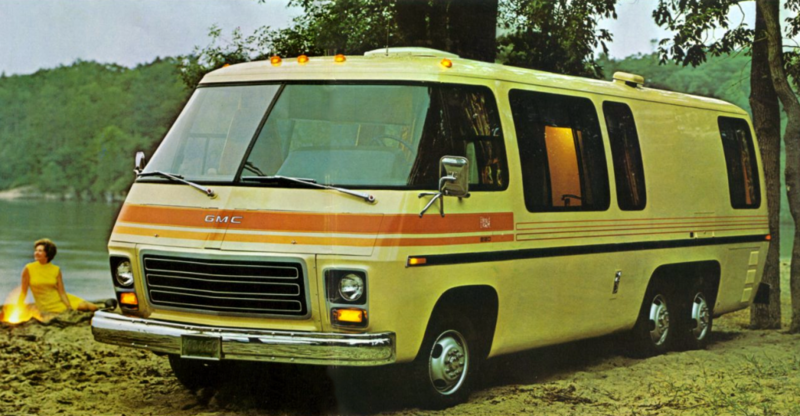 To accommodate the MotorHome’s low floor, GMC did away with a driveshaft and opted for a front-wheel-drive powertrain. 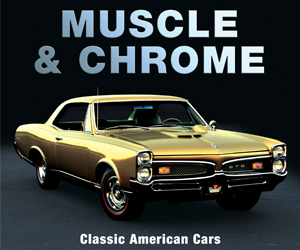 Referred to by General Motors engineers as the Unified Powerplant Package, the MotorHome’s front-drive engine and transmission assembly were essentially lifted from the Oldsmobile Toronado. This arrangement meant that the 1973-1976 MotorHomes were powered by a 455-cubic-inch V8 originally rated at 250 horsepower, and the 1977-1978 models got a 200-horse 403-cubic-inch V8. Both engines were mated to the corporate TH425 3-speed automatic transmission. Since the Motorhome had a GVWR (gross vehicle weight rating) of more than 10,000 pounds, the EPA didn’t report fuel-economy estimates for it. However, anecdotal reports put the highway figure at around 8 mpg—somewhat better than contemporaneous motorhomes from competitive makes. This 1974 ad for the MotorHome is pitching the vehicle as an alternative to a company plane. Because of the low floor, the MotorHome’s tandem rear wheels were not attached via traditional cross axles; instead, each side utilized a bogie-type setup that was attached to the side of the frame and used a double-ended airbag suspension assembly. The MotorHome was offered in two lengths and in a number of trim levels, the latter of which varied over the vehicle’s production life. Standard 23-foot models featured a 140-inch wheelbase and started at $13,569 for 1973. By 1978, the 23-footer’s base price had risen to $34,500. The 26-foot model started at $14,569 in 1973, and had crept up to $39,250 by 1978. The starting prices rose quickly as options and interior upgrades were added to the mix. 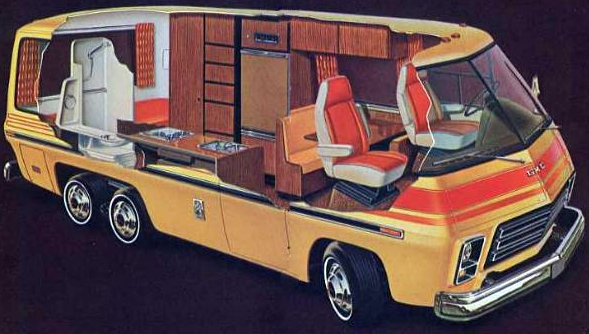 Most MotorHome interiors were finished by industry supplier Gemini Corporation, which was located in Mt. Clemens, Michigan. A number of MotorHomes were custom upfitted by aftermarket companies as well. The GMC MotorHome was memorably featured in the film Stripes as the EM-50 Urban Assault Vehicle. People too young to remember seeing the GMC MotorHome on the road in its heyday may have nonetheless become familiar with it by watching the classic comedy Stripes. The 1981 film features a MotorHome outfitted as the top-secret U.S. Army EM-50 Urban Assault Vehicle. The Aquabats’ “Battle Tram” is a modified GMC MotorHome that was featured in the band’s Super Show! program. The comedic pop/ska/punk band The Aquabats currently travel to select events in a modified MotorHome. The Battle Tram, as the vehicle is dubbed, was featured prominently in the band’s live-action Super Show! kids’ program, which ran from 2012-2014. All things considered, the MotorHome sold quite well for a pricey specialty vehicle. Almost 13,000 were built over the vehicle’s run, with sales peaking at 3260 in 1976. The MotorHome enjoys a solid enthusiast following today, with good-condition examples selling for more now than they did new. This enthusiast site is packed with more MotorHome information than you likely ever wanted to know. Check it out. Written by: Tom Appel on January 22, 2018.on February 26, 2018.